THE LIONS LAIR LODGE WELCOMES EVERYONE TO THE 2018 SEASON. The Lions Lair Lodge is a warm and cosy little Bed and Breakfast style facility conveniently located approx 150 metres from the lifts across a car park and shuttle bus stop. The property had a major renovation in 2013 and substantial improvements annually since, including during 2018. 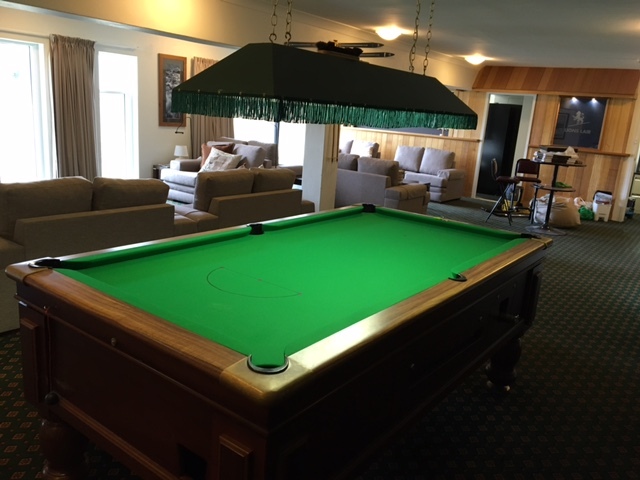 The property is Unlicenced but has a communal Lounge to relax in with a Pool table, and is strictly a Non Smoking facility both inside and externally within the property’s Boundaries. We have a limited number of Car Park spaces subject to availability, which can be advised when a booking is made. You can however drive almost to the front door to drop off your luggage, subject to road conditions, before taking your car back to an authorised parking area outside the National Park. There are Drying and waxing rooms and secure ski and snowboard storage. 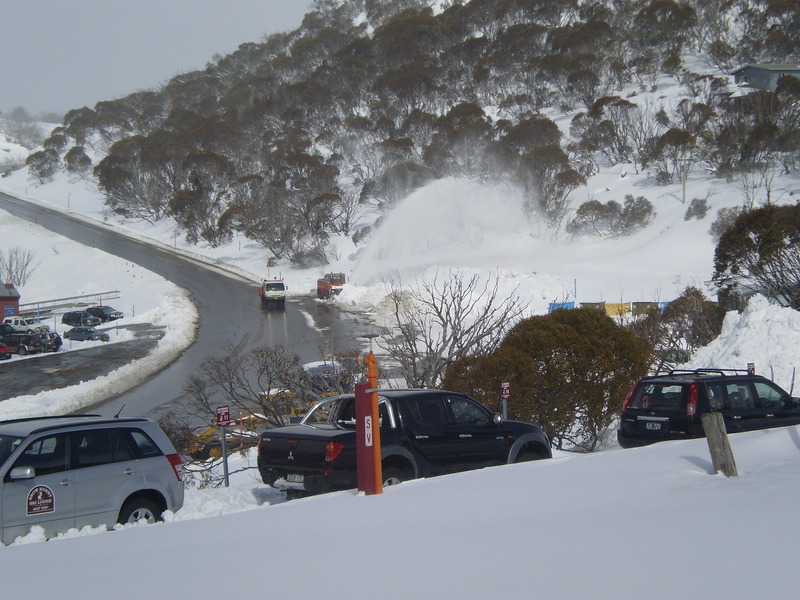 If travelling by public transport you can catch the Shuttle from the Bus stop just outside the Perisher Skitube Terminal which drops you across the road at the Smiggins Shuttle Bus Stop daily until 6 pm, which is then a very short walk to the Lodge. Before you head out to ski you can enjoy a hearty breakfast of orange juice, fruit compote, muesli & cereals, full cream milk, white or wholemeal toast and a variety of jams and spreads, followed by a cooked breakfast of items such as eggs, bacon, tomatoes, mushrooms, all served Buffet style. The food is complimented by real coffee, leaf tea, Milo or milk. There are a few Restaurants at a nearby Hotel and two Lodges, bookings are essential. 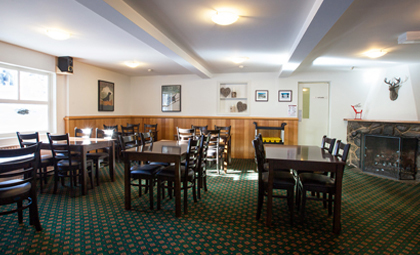 Restaurants are also available in Perisher, transfer by shuttle bus or Hans Oversnow. If you have any prepared or cold meals that need heating up a Microwave is available, arrangements for it’s use can be made through the Managers on arrival or during the stay. There is also a communal Fridge for storing food, and a coin operated drink dispenser. 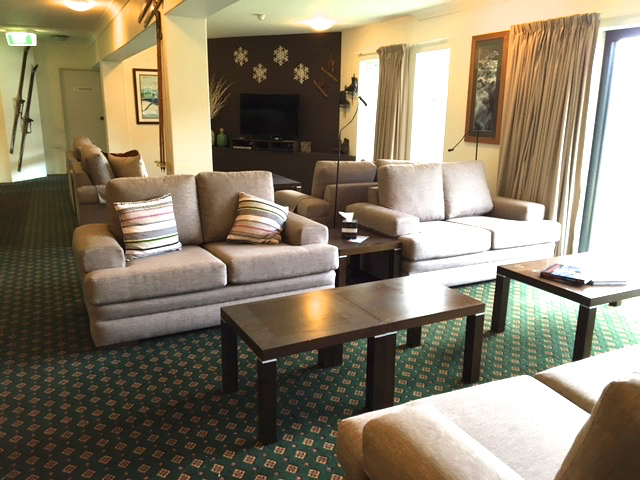 Royal Coachman Ski Lodge – Ph: 02 6457 5242 Bookings required 1 day in advance. Set menu of 3 course dinner starting at 7pm. Vegetarians also catered for. Children dinners from 6pm. call them on (02) 6457 5375. Smiggin Holes is a popular skiing resort located within the Snowy Mountains, offering skiing facilities for both beginner and advanced skiers. If variety is important for you-from Smiggin Holes you can easily access unquestionably the best ski resort in Australia. There are 4 interconnecting ski fields with an amazing network of 51 lifts all on one lift ticket – Smiggins, Perisher, Blue Cow and Guthega. Kosciuszko National Park Entry: You will be required to pay an entry fee for the National Park per vehicle per day, or alternatively you can purchase an Annual Pass per vehicle. Note: 2WD vehicles must carry chains and National Park entry fees must be paid for all days your vehicle is inside the park (even if you’re not driving it). The Lions Lair has only limited guest parking and will be allocated on a first come/allocated/most needed basis. One space for Disabled assistance is available. If allocated a space a Parking Voucher must be obtained from the Lodge Managers to display in the vehicle. Any vehicles parked illegally will be booked by Rangers or towed away for illegal overnight parking. All other vehicles must be removed from the Park each day. 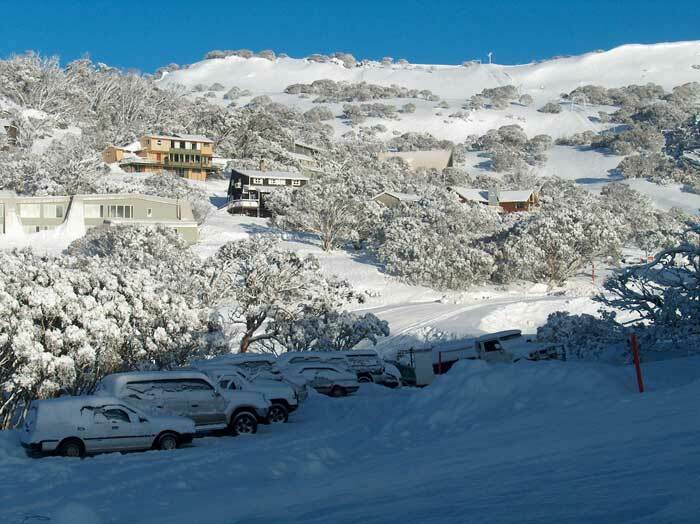 If leaving your car at Bullocks Flat, (recommended), and going to Perisher via the Ski Tube after 6:00 pm, call the Lair before boarding and we will pick you up to transfer you to the Lodge via the Lairmobile. 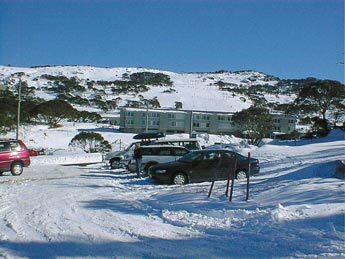 There are Restaurants in Perisher also, transport after 6:00 pm is available using Hans Oversnow. Hans can be booked by contacting them on (02) 6457 5334 or ralph@handsoversnow.com.au. For details their website is handsoversnow.com.au. For non School groups basic bathroom accessories are provided in the Ensuites. Towels, linen, pillows, doonas and covers etc. are also provided. THE MINIMUM STAY AT ANY ONE TIME FOR ANY ROOM IS 2 NIGHTS. Prices are subject to change and a minimum stay period and other conditions may apply. An additional person/child is charged at reduced rates apart from special arrangements with School groups. We are a traditional B&B and therefore no meals other than complimentary coffee and tea are available apart from Breakfast. In order to receive a child’s discount the child has to be younger than 14 (fourteen) and accompanied by two adults. The property is not suitable for children younger than 6 (six) years of age. Check-out is before 10am and Check-in is between 3 pm & 9 pm! Please confirm the estimated time of arrival when making your Booking. A Deposit of 10% is required on acceptance of a booking and the full balance payable no later than 30 days before the stay commences, or no later than 14 days if the booking is made within 30 days before the Season commences on 8 June 2018. Once the season has commenced on 8 June 2018, payment in full is required on making a booking. All payments are by Credit Card or direct to The Lions Lair Lodge Bank Account, details of which will be provided for payment of a Deposit or full payment in advance when making the Reservation. Unfortunately we cannot accept personal cheques. The last booking in 2018 will be for departure on 1 October 2018.